The second our video finished uploading we slammed the computers shut, pulled up the anchor and left Grand Cay. The winds were light and left us no option but to motor at full throttle. 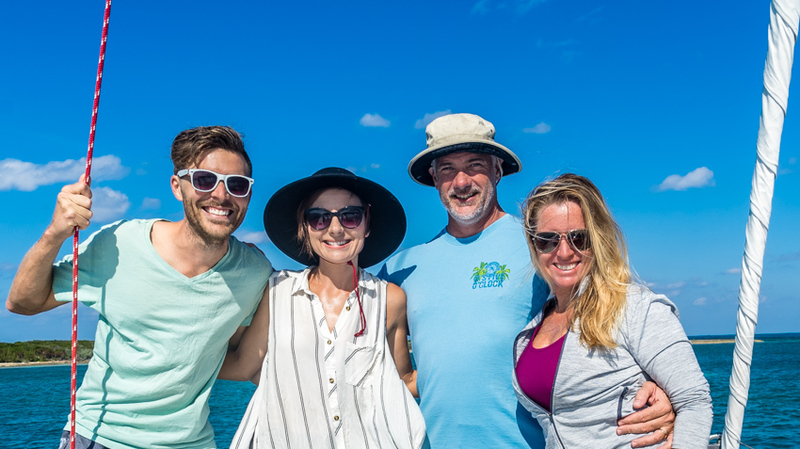 We were in a race against the sun as we made our way to the little island of Strangers Cay for the night, where our friends of S/V Latitude Adjustment were waiting for us. 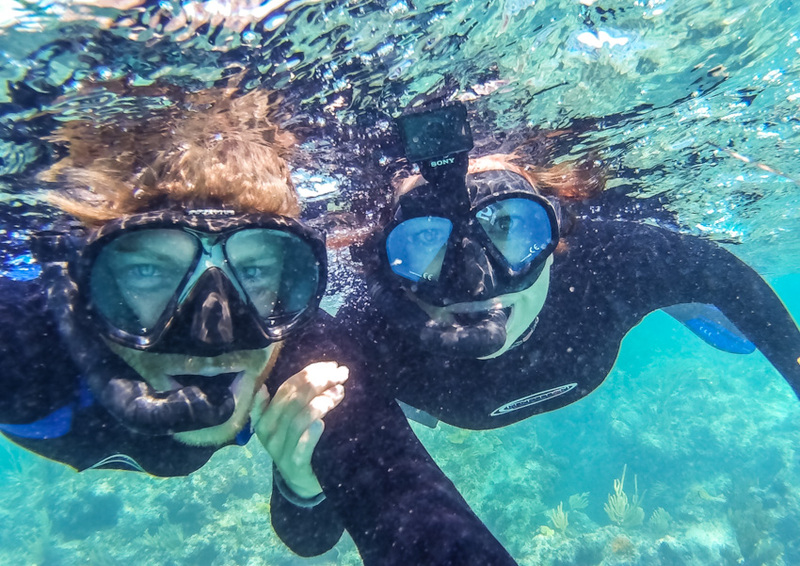 They head back to Florida soon, but there’s one last deserted island and snorkeling adventure they wanted to share before they said goodbye. With the calm winds we slept like babies that night. It’s amazing how hard we crash when we know the hook is set well. 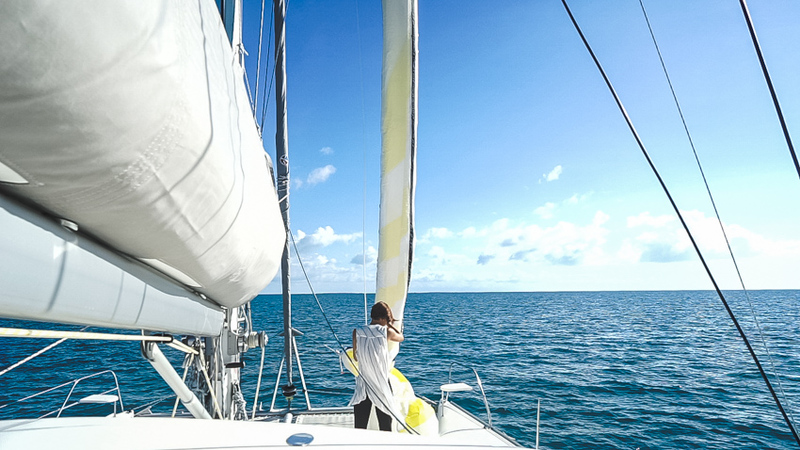 We departed Strangers Cay as the sun was rising and we still had light winds to our back, which left us with two options: Take the easy route and motor the whole way or put up our new spinnaker head sail without really knowing how to properly use it. We’ve only seen a spinnaker in action once and unfortunately new sails don’t come with instructions. Thankfully Kent drew us a little “map” of how to fly a spinnaker before we left Ft. Lauderdale and our friends were in constant contact over the radio giving us words of encouragement. I don’t know why we were so nervous about flying the spinnaker. It just seemed a lot riskier and like there is more room for error than with our other sails. I’m sure we’ll get the hang of it in no time, but for now we’re still nervous newbies when it comes time to pull up that sock and and let it fly. I was surprised to find the website listed on the dock morainecay.com was still live and looked as if things were up and running. After exploring the island by foot, it seems this place has been deserted for a while now. From the looks of the website, this was supposed to be a rental property for people looking to kick back, relax and get away from it all. There wasn’t any info on the status of the property, what happened or if there are plans to continue building the resort. It’s all left standing as if one day everyone simply walked away and never looked back. It does make for an interesting place to stretch the legs and do a little exploring. Out of respect we didn’t enter the houses, but the one that was open looked like it was in pretty decent (but half complete) shape. The trails between houses are easy to follow, but watch out for those stickers. 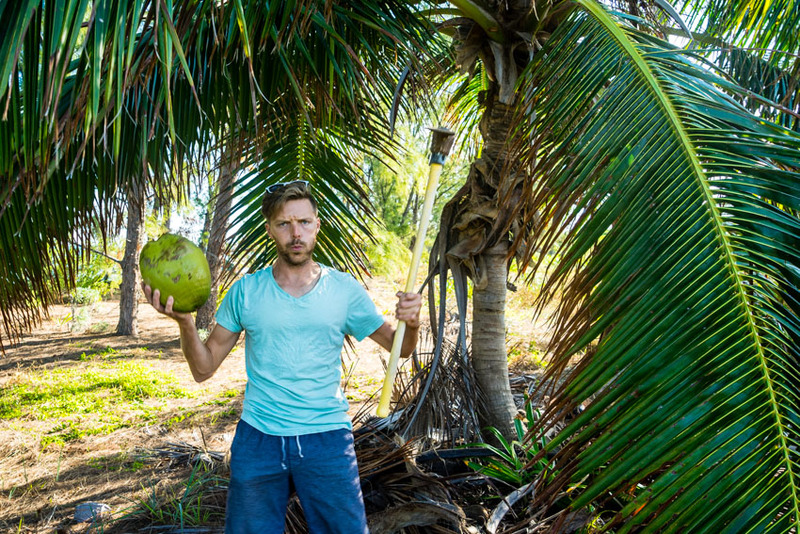 Its the first place we noticed coconut trees and our inner Castaway kicked in and we were determined to get sustenance. The coconut put up a good fight but in the end, we prevailed. It only took a drill, hand saw and an hour to retrieve the milk and the fruit. Our American resourcefulness will do until we can get that machete. Equally as unbelievable as our experience at Double Breasted but in a totally different way. Navigating the dinghy through the reef is a challenge all on its own. 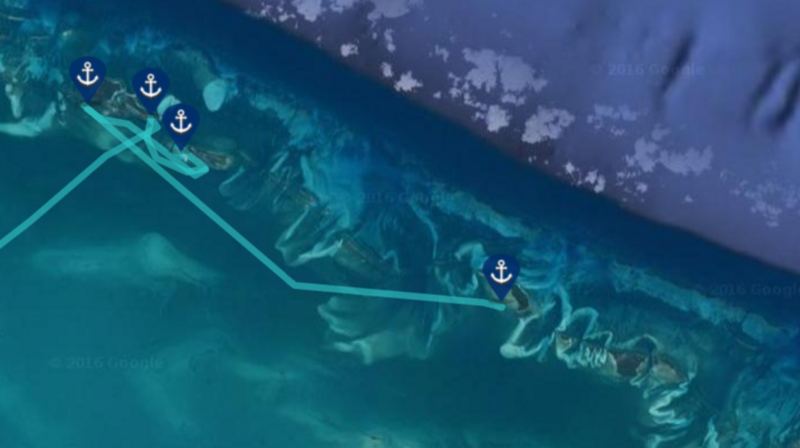 We look below for the sandy bottom and hope the narrow paths connect between the jagged pieces of reef that cut through the surface of the water. Once the bottom opens into a large area of sand we drop the hook and jump in. Snorkeling in this area is like swimming through hallways of coral that lead into giant rooms. We saw plenty of fish but the current and waves made it difficult to capture any great photos or video. Then, there was the challenge of wearing a buoyant wet suit without a weight belt. It proved to be nearly impossible to get fully submerged. It’s one more thing to add to the “shopping list”. We’ve had our dive suits for over 8 years but have always rented the other equipment for our once or twice a year excursion. I think it’s time to bite the bullet and invest in some quality dive gear. Our friends S/V Latitude Adjustment had to go back to ‘real life’ as they say and we were sad to see them go. They took us under their wing, showed us these two amazing anchorages and encouraged us to dive right into the adventures. If other sailors out there are anything like these two, I think we’re in for some incredible friendships. Thanks David and Christi, we’ll never forget our first big trip or our first Chambonging experience with your guys. Wet Suits – We’ve had our dive suits and fins for over 8 years, still holding up decently. Anchorage: Moraine Cay is a fair-weather anchorage only. Meaning if the wind is blowing you probably don’t want to spend the night here and we didn’t (we moved onto Allan’s which you’ll see in the next post). The waves roll in from the Atlantic Ocean making even a semi-calm day a little bit rocky. The bottom was sand and our Mantus anchor dug in hard the second it touched the sea floor. We did hear on calm days you can surf the incoming waves near the channel to the northeast of the island. Now that would be fun! Great site – really enjoy it! At just turned 90 my days of adventure are sadly over. 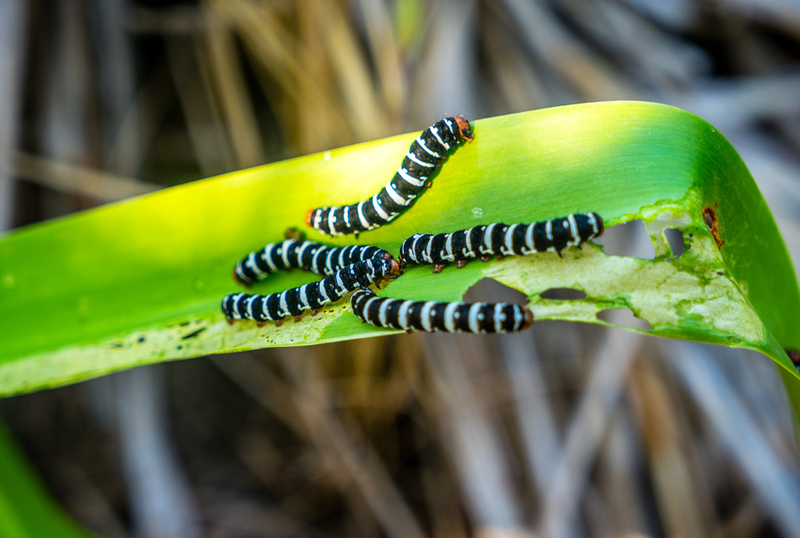 My RV sold and passport expired but watching your wonderful blogs are giving me a new life ! Is reincarnation a reasonable possibility I wonder. Here in sleepy Suffolk, England ,we can only dream ! Can you show us sometime how you remove the lure from the fish when you want to throw it back in. That would be very educational. It is just so great that you are out there doing what you have wanted to do for so many years now. Good for you! Will do, every time i setup an action camera we don’t catch a fish, and when we do catch a fish the camera is not ready. Oh well. What bread maker do you have? Do you like it? Thanks for the relax footage.. My wife and I always look forward to your episodes, every since you started sailing. We both love diving and snorkeling so basically your living our dream for now.. Which we well pursue once the daughter goes to college. A quick story that might help you, especially since y’all seem to have success catching barracuda.. My wife and I had some on our honeymoon after a diving trip.. Apparently one of the other resort guest went on a deep sea fishing trip, and had the chef prep everything they caught, and they shared it with the other guest. We were leary of the fried barracuda, but I have to say, we were both impressed with how close it tasted to chicken, not only in taste, but also texture. We would love too try it again if we ever get a chance. Perhaps you should give it a shot. It’s quite yummy. Here they say it must be under 3′ long to eat, otherwise one may get very sick. You guys are amazing! Video is great, especially the drone views. My Hats off to you. You “guys” are awesome! It’s such a joy following your adventures. Thank you for such family friendly videos & commentaries! My only regret is that I can’t follow in your footsteps since I’m 71 & have a wife who would never leave a secure home for a catamaran & sailing lifestyle! But I can at least follow along with you two!! Have fun!! 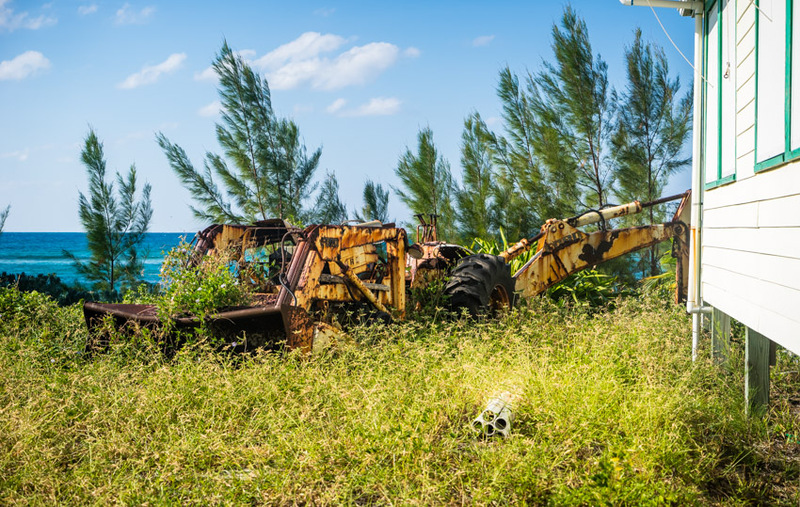 Intetested to know more about the abandoned development island you discovered. If you have more info please send! Love your explorations and adventures. Great video ….it helps to forget the thoughts of shovelling the waist deep snow today. Love the beautiful drone footage. The use of the drone was great but was Nikki teasing you during the landing lol. Awesome views. The water is so beautiful. Again I think I need to come aboard for a visit! It’s a great adventure, enjoy life . looking forward do the recipe for the coffee cake and the little machine your cooked it in – might already be listed, have not searched around yet. There’s a link to the coffee cake recipe in the blog post. https://www.gonewiththewynns.com/moraine-cay-abandoned-resort-goodbye The oven is a Cuisinart Tabletop Oven (more info in the Gadgets & Gear section of the blog) but it doesn’t seem to be available right now. They may not be making it anymore or maybe they’re getting ready to release a new model. Would I be out of line asking the name of your insurance company? I am currently shopping my policy with Progressive and I trust you did a thorough review before you purchased your policy. I will understand if you won’t or can’t. Thanks. Another great video! You’re making me really jealous! I love the use of the drone! That’s pretty cool. Yeah I’m kind of waiting to see someone catch fish too. I’m hoping there’s some lobster in your freezer. I’m thinking that was my Christmas gift. ? When you all left the RV for the boat, I thought you were crazy. My lifelong dream is to retire in an RV and I did not care to see such an entertaining couple leave my dream world. 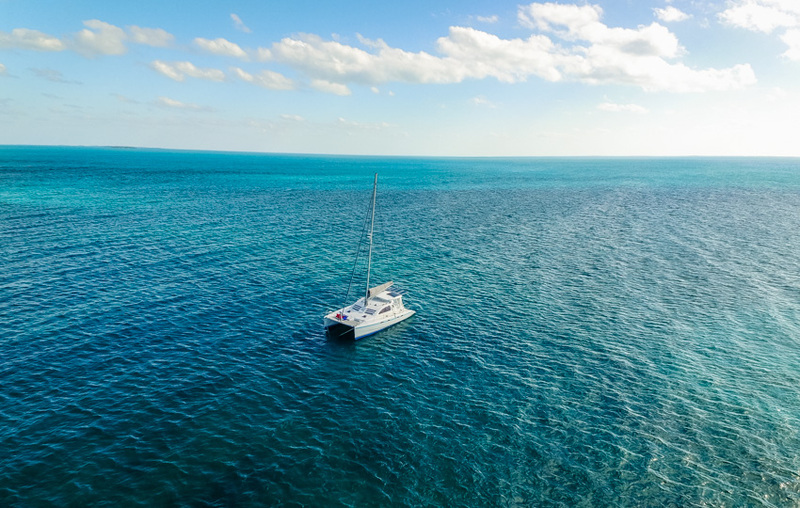 However, I have continue to watch your adventures in your catamaran, and I must say that I continue to be entertained and somewhat envious of your new life on the water! Please continue to be your pleasant and entertaining selves. You are such an inspiration to those of us who continue to live in a house. On the Terra firma. Working for the man! Is that the technical term, Jason? Hey fellow diving Dallas-ites, I noticed you were experiencing some challenges in your underwater 🙂 video (I’ll be specific, since I know nothing about above-water photography). I think you could make great strides with an extending mono-pod like SeaLife’s AquaPod. It isn’t el cheapo and it lengthens to 50+ inches for trying to video while snorkeling and lets you get your shadow out of the frame. It is also very useful for letting you get your camera close to the easily scared, but oh-so-beautiful, juvenile fishees you see when you’re in water that shallow. UnderwaterKinetics makes one, but it is too short for what you’re doing and the GoPro branded ones are also short, not adjustable underwater and marketed for selfies instead of actually using the video camera for something useful. I have no idea where you might buy one over there, but you probably aren’t even ‘there’ anymore. 🙂 I see that LeisurePro has the Sealife Aquapod Underwater Monopod SL913 on sale at http://www.leisurepro.com/p-slfam/sealife-aquapod-underwater-monopod-sl913?gclid=CjwKEAiAm8nCBRD7xLj-2aWFyz8SJAAQNalaDSz5_AT9Gtv0cXyMbLgsHCOhJY6Bsx7vVKfbWjWE3hoCOzjw_wcB&kwid=productads-adid^88200967873-device^c-plaid^183054522793-sku^[email protected]^PLA. So beautiful there! Good luck y’all! Great job,love the drone pics.nice nice place. I have followed you both from the start of your RV adventures and feel that both of your parents must be very proud of your skills, adventure and determination. I would be if I was the father of either one of you. Know you have used drones in your RV travels, but based on the over water aerial video shots, you must have a good feel and comfort with the Drone controls. So, by chance is it waterproof? A great tool for your videos and would like to hear more in your videos of the Drone usage and any oops/mishaps with it! Keep up the great adventures and glad to see safety is your first concern as you both are truly priceless! It is not waterproof so we carefully fly it. Good news is it’s not brand new anymore and the software has been pretty stable during our flights. As always; Loved the video and THANKYOU both for thinking of doing the VLOGs, they are each and every one studio quality and joyous pieces of your life. Stay safe and healthy. Pets the kitties for me. That was an awesome 15 minutes of beautiful scenery. Makes me want to get in the water. Thanks for sharing. Really enjoyed the video. And look forward to more videos in the future. learning more about sailing each time. We are new patreons. Thanks so much guys for being such an important part of the adventure. Great video guys. This is what I like to see. Well, actually anything you do seems to be better. I think you’re improving with each video. I find it is the right amount of sailing, talking and exploring. How’s the solar doing for you? Do you find much difference from videoing when you were in the coach and now videoing at sea. Thanks for the recipe, we’ll give it a try. Please be careful when you’re exploring. You fall or cut yourself and you’re a long way from medical attention. Wear boots. Don’t go poking around in piles of stuff. Scorpions love palms. Another great video showing the beauty of cruising the Bahamas! I bought myself a dive skin from Dive Suppynfor only $20 USA and it is a great thin suit to keep your warm, protect from sun and jelly fish stings etc! Lycra type suit! Barracuda a great to use as strip bait for catching the really good fish to eat, their skin is really tough and stays on the hook quite nicely! I’m agonizing over which of the 2 IPad Pro sizes to buy. Which size do you use & if it’s the smaller 9.7″, do you ever wish you had the larger one? We have the 9.7 and it’s perfect for us! The spinnaker is beautiful, but I’m curious what it’s used for. How is it different than the regular sails? 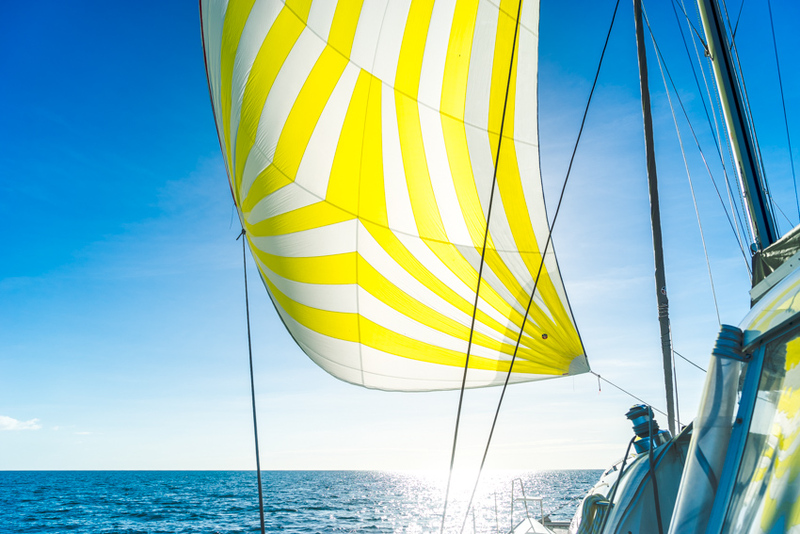 The spinnaker is for downwind sailing, anytime the wind is to our back it will perform much better than our other sails. I love the drone footage. Such a beautiful place. If I only had $3 million! 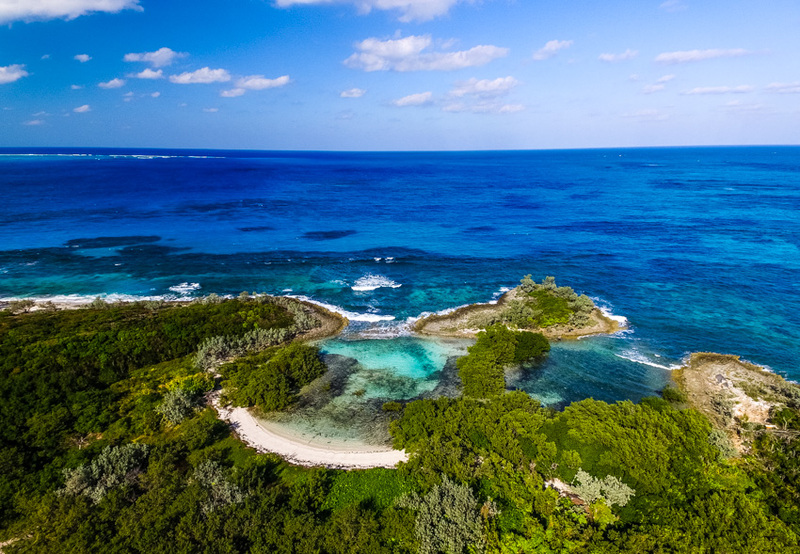 I tried to find out what happened with “Moraine Cay”. This is all I could find. Not sure how current it is! But just in case you really liked it and think you might want to purchase it you can follow up…..maybe Kent can help!! 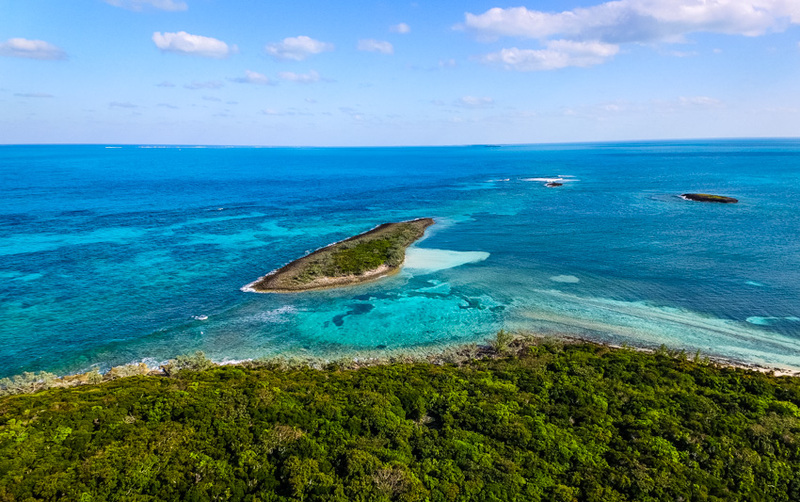 Just 130 nautical miles from Florida’s Palm Beach, 30-acre Moraine Cay ($2,750,000) is one of the most incredible spots in the Abacos. 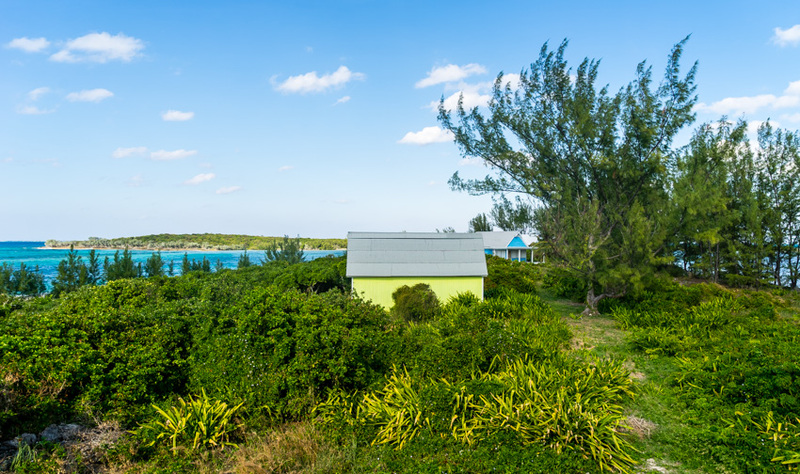 Only nine miles northeast of Foxtown, Little Abaco, the secluded, tropical isle is one of the closest Abaco destinations to the U.S. Rising to an elevation of 24-feet above sea level and offering back-to-back crescent beaches, Moraine’s three villas (currently at varying levels of completion) enjoy pleasant breezes at all times. The island also offers a dock, boulder breakwater, and utility shed. Extensive reefs nestle just offshore and ocean sportfishing (monster grouper, yellow fin tuna, dolphin, and wahoo) is magnificent. 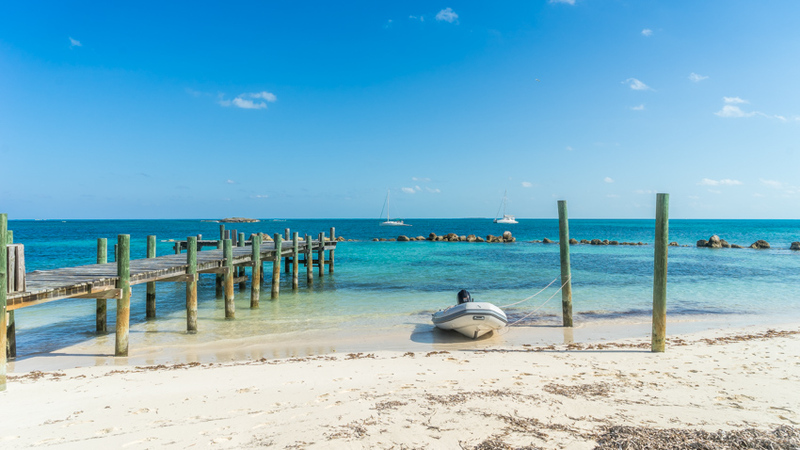 Closer to shore, fishing enthusiasts can find an abundance of lobster, conch, snapper, stone crabs, and hogfish in the crystal clear waters. To our surprise the owner of the property reached out and told us they are still renting the homes and the resort is not abandoned.